Omega Pediatrics is how parents avoid urgent care and emergency rooms. We are open up to 9 pm on weekdays, which allows families to come in for urgent and immediate care at our facilities. Our clinic is equipped to take care of the common problems that drive families to the emergency room and urgent care after 5 pm. These include a sore throat, an injury sustained at school, or a sports injury. Our model ensures that we are here when you need us for after-hours needs and acute illness. We also provide routine care such as well-child checks and immunizations. 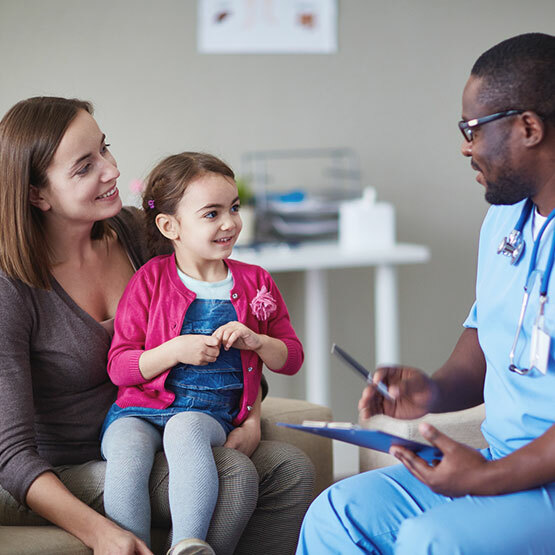 The children do not need to have another visit after we have seen them after hours unlike what is routinely recommended at urgent care centers and emergency rooms. Ear Injury or Acute Onset Infection – Children may develop severe ear pain due to acute infection or injury to the ear, which can make any parent uneasy and make them head out to an urgent care center. We are here for such care. Excessive Crying – When your infants begin to cry excessively, bring them to our facilities. We’ll examine them and run some in-office tests to identify the cause and provide the right treatment. Asthma Exacerbation After Exertion – Though asthma is a controllable illness, some new onset symptoms start after hours. We are available up to 9 pm in the office to give nebulizer treatments and prescribe medications to control the illness. Croup – Because we are open till late, parents are able to bring in their children with a croupy cough or other symptom. We’ll initiate the appropriate treatment after evaluation. Acute Vomiting – Sudden onset vomiting in a child could lead to dehydration and life-threatening electrolyte imbalance. It could also be one of the first symptoms of a metabolic disease or even infection. Coming to Omega Pediatrics after hours could save families an emergency room visit later at night or complications from delayed treatment. Strep Throat – Severe throat infection is contagious and caused by Streptococcus bacteria. Our after-hours availability provides access to care and saves families endless hours in the emergency room.